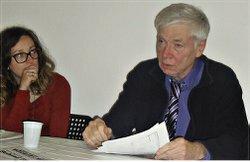 Emanuela Grifoni and WW’s John Catalinotto at anti-war meeting in Pisa, Italy. Pisa, Italy — A new exhibition in the Blue Palace of Art on the banks of the Arno River here examines the role of Italy and specifically of Pisa in World War I. Italy entered the war on the side of Britain, France and Russia in May 1915, nearly 100 years ago. The exhibition tells much about the suffering of all those who volunteered or were drafted into this great slaughter, which killed 10 million European workers. It makes clear that what was driving the world toward war then was the European ruling classes’ battle over colonies, markets, raw materials and spheres of influence around the world. While much has changed in 100 years, Europe is again riven with tensions leading toward a possible major war. Thus, it was timely that on the evening of April 10 the first in a series of forums on the theme of “Make War Against War” opened in this university city of 90,000 people. The new meeting hall of the Communist Network (Rete dei Comunisti) in Pisa was filled. Today the force driving toward war comes from the U.S.-led NATO powers, which in February 2014 backed a pro-fascist coup in Ukraine and have been waging war, through NATO, also in Afghanistan, Iraq and Syria. The organizers of the meeting — the Communist Network — are hosting similar discussions in a number of Italian cities. At the opener in Pisa, Workers World managing editor John Catalinotto was the featured guest speaker from the U.S. movement. 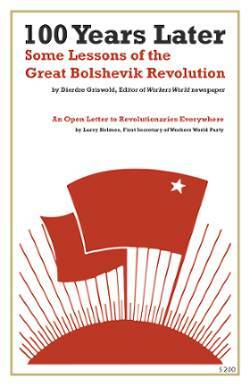 He shared the platform with veteran analysts from the Italian communist and anti-militarist movement. 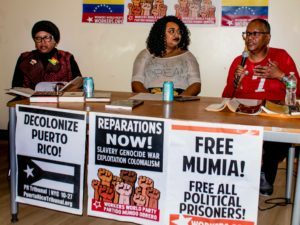 The other speakers included Valter Lorenzi of the Communist Network in Pisa, Giovanni Bruno of the Communist Refoundation Party and Manlio Dinucci, military analyst from the newspaper Il Manifesto. Emanuela Grifoni chaired and introduced the discussion. The speakers agreed that the greatest war threat came from the U.S.-led NATO forces and that they would cooperate to fight against the imperialist war drive. 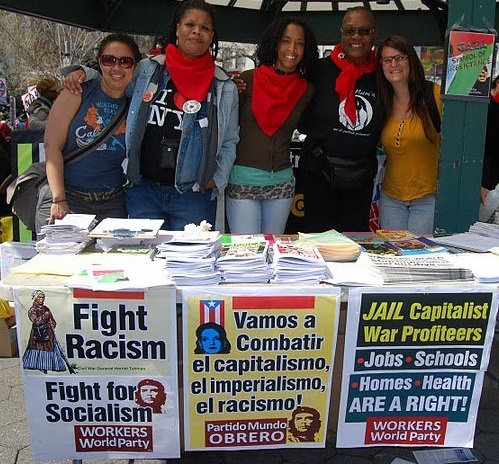 Catalinotto also described for the Italian audience the dynamic development of the movement in the U.S. against the police killings of unarmed civilians, mainly African-American youths, and the powerful impact of racism on the class struggle in the U.S.